When it comes to new sustainable development, Germany tends to be one step ahead of most others in the game. The first nation to abolish nuclear power now runs on 20% renewable energy, and Germany’s national railway operator, Deutsche Bahn, is making another significant statement. They have just announced plans to run all their trains on 100% renewable energy by the year 2050. The railway currently uses 2% of the country’s electricity, so this change will have a significant overall impact. The switch to renewable energy sources will not only serve lower Germany’s CO2 emissions, but could also increase the competitiveness of the railway, as the perceived urgency increases in regard to the need for low carbon transport. 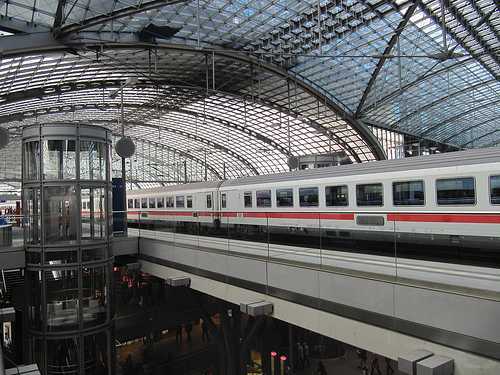 An initial goal of Deutsche Bahn, is to increase its current renewable energy usage from 20% to 28% by as soon as 2014. It seem clear that Germany intends renewable energy to be an integral part of the nation’s future. It’s a far cry from where many nations currently intend to be over the same time frame.